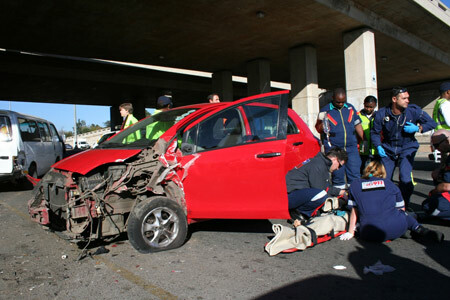 Road crashes have a significant impact on the lives of South Africans. With so many accidents on our roads it is important to guard against the consequences of these accidents to family members and loved ones of accident victims. Too often do we hear of the hardship and trauma left behind with a spouse or family member when someone is killed or injured in a road accident! Personal accident insurance is an insurance product to financially cover you, your family, partners or business associates in the case of injury, permanent disability or death caused by an accident. Should an unforeseen violent or accidental incident occur, this will ensure that you or those left behind are compensated. Personal accident insurance is available on both an individual basis or, for businesses, on a group basis. No matter where in the world they are, beneficiaries can be compensated. 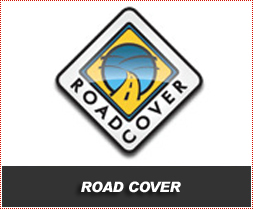 With South Africa discovered as a prominent tourist destination, there is also a need for an insurance product that will cover tourists travelling on South Africa’s roads at the time of an accident. Personal accident insurance is the appropriate cover to have in place for these travellers. Payments from personal accident insurance are made in addition to any benefits that may be obtained from the RAF, the Compensation Fund, or a retirement fund. Most accidents can be attributed to human error and factors such as aggressive and negligent driver behaviour, non-adherence to traffic rules as well as poor road conditions. We share the roads with many unlicensed drivers and face many road risks we can do little to prevent. Being a victim of an accident can be devastating enough without having to worry about the financial implications of such an accident. The medical costs alone can be crippling. You may lose a limb or partially lose your eye sight in an accident, with added medical bills and on-going treatment which can become very expensive. You may require physical therapy or need to alter your home to accommodate your injury. By acquiring accident cover you are making such an incident easier to deal with by reducing the financial implications of such an event. It is important to consider accident cover as part of your overall insurance package. In response to significant risk exposure presented to road users in South Africa as a result of the Road Accident Fund Amendment Bill, some insurers have designed tailor made Personal Accident Insurance Policies. 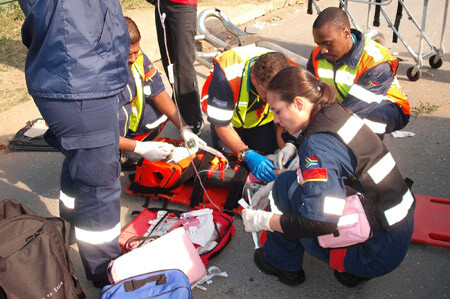 As the law stands at the moment in South Africa, the Road Accident Fund Amendment Bill (RAF Act) has effectively removed the common law right of an injured person (passenger/tourist/guest) to sue the wrongdoer (driver/operator), which means that following a motor vehicle accident a severely injured road user will only receive a maximum of R160 000 in compensation from the RAF and will have no right to recourse against the wrongdoer. There is now a significant reduction in the amount of expenses that may be claimed for loss of earnings and for medical expenses. It is said that the onus has now been placed on individuals to obtain sufficient personal accident disability cover, which they will need to do through the private sector. What are the Accident Benefits?  How do we explain the essence of Personal Accident cover? Death: If you die in an accident or as a result of violence, your beneficiaries or your estate will receive an additional amount as death cover. Accidental death has been described as death caused by accident, violent, external and visible means. An injury caused by an accident that is clearly visible on the outer part of the body, or internal body injuries as confirmed by an autopsy as the cause of death. An illness or body infection as a direct result of an accidental injury as described above, commencing within 30 days of suffering the injury in an accident. Drowning that resulted from an accident. An Accidental Death Benefit can be added to an insurance policy as an additional benefit—it is in addition to the policy’s basic death benefit—should death result from an accident. Accidental death insurance cover will pay out in the event of accidental death or permanent disablement. The benefit is paid out as a lump sum to a selected beneficiary. There is no medical testing required to obtain accidental death cover and it usually covers all types of accidents. With the loss of limbs different percentages of the sum insured may be calculated and compensation paid. Car Rental companies have recognized the importance of Personal Accident Insurance and provide a variety of insurance products to their clients. In the event of an accident, various waivers are available to reduce damage costs and potential liability in the event of an accident. While these waivers cover the vehicle, any hospitalisation or other medical expenses incurred are excluded. Personal Accident Insurance (PAI) not only gives peace of mind when driving, but may also ensure that a team of medical experts and experienced emergency response teams provide the best treatment at available private hospitals. How many dependants do I have? These are the people who fully or partially rely on you for support and care. What type of lifestyle do I want to provide for my family? Does my spouse earn an income? Would my working spouse be able to cope financially if I am no longer there? Can my children’s education be funded without my income? Does my family have any special needs, such as caring for a disabled child? Will my parents be financially independent? Is it possible that they may become dependent on me for support? What are my financial needs? Are my other insurance needs covered sufficiently? To minimize the cost of your insurance, only purchase insurance for the kinds of risks relevant to you - don’t end up paying for a lot of cover for liabilities that aren’t relevant. Personal accident insurance should be regarded as additional cover to compliment your existing life insurance, pension fund etc. Personal accident insurance is not a substitute for risk, but rather a tool you use to minimize the risks of accidents happening, or of you being liable for accidents that may occur. Not all insurers’ disability benefits are the same. Some only cover accidents, while others only cover medical conditions. There may also be exclusions involved such as piloting an aircraft, undertaking hazardous pursuits, alcohol and drug abuse, criminal acts and acts of war. Best advice would be to consult with a recognized financial advisor from a reputable financial services company and complete a “financial needs analysis”. This will enable you to identify your specific needs and address these needs with the correct insurance product. There are well trained advisors who are more equipped to advise on these products – consult them! Full time active service in the armed services of any country in declared or undeclared war. Claims arising from war or similar hostility or if you or your passengers are participating in a riot. Where the vehicle is carrying more passengers that the number of seatbelts fitted at the time of the accident. An injury or illness which arises more than 24 months after the accident. Injury caused directly from an existing physical defect or other infirmity. Personal accident insurance is often described not as a luxury, but rather a necessity in South Africa. This insurance can provide confidence in a person's future by providing needed protection, and being prepared for anything will ensure that all parties involved will be taken care of no matter what happens.